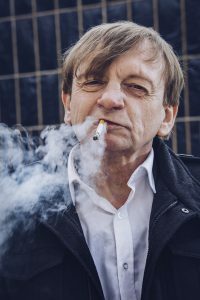 Word arrived yesterday of the demise of Mark E. Smith, 60, longtime CMO (Chief Musical Officer) of the ever-changing corporation known as The Fall. Now that he is gone, we can mark the final Fall tallies: 42 years, 60-some band members, 32 studio albums, and an unknown but immense number of live albums. Smith was truly one of a kind. Not a musician, not even a singer, really — more a human conduit for some kind of powerful, dangerous, uncontrollable energy. This kind of thing takes a toll on a person, not to mention his prodigious and unrepentant consumption of speed, alcohol, and tobacco. So on the one hand it’s fairly impressive he made it to 60; on the other hand I kind of thought he’d keep on indefinitely, growing forever more gnarled and opaque. 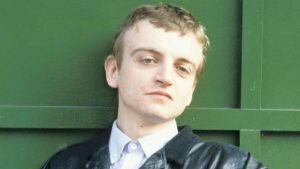 There may be a cautionary tale there; was there perhaps an alternate route that allowed him to maintain both his creativity and his health for a little bit longer? 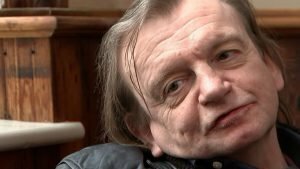 No way to say for sure, of course; we each must choose our own path, and Mark E. Smith certainly did that. Now that the mandatory 21-day waiting period has passed, I can officially name a song of the year for 2017. It’s from Benjamin Booker’s album Witness, and it has everything: a stomping T. Rex beat, a sanctified aura, and that voice. Yes, that voice; it’s hard to believe he’s only 28. With any luck we’ll have him around until he starts to look like he sounds.